There aren’t many artists that wait forty-four years before releasing their sophomore album. That was the case with one of music’s best kept secrets, Linda Perhacs, who returned with her much-anticipated comeback sophomore album The Soul Of All Natural Things in March 2014. It was the followup to her debut album Parallelogram, which was released by Kapp Records in 1970, but failed to find the audience it deserved. Now Parallelograms is regarded as a seminal psychedelic folk classic, and Linda Perhacs one of the genre’s finest exponents. Proof of that is her third album I’m A Harmony, which was recently released by Omnivore Recordings and marks the welcome return of the seventy-four year old Queen of psychedelic folk Linda Perhacs. Her story is a fascinating one, and began in 1943. Linda Long was born in Mill Valley, which lies just north of San Francisco’s Golden Gate Bridge in 1943. By the time she was six or seven, Linda was able to write quite complicated compositions. She was a gifted and prodigious child. However, as is often the case with gifted children, her teachers maybe didn’t realise this at the time. This didn’t stop Linda Long enrolling in the University of Southern California. At the University of Southern California, Linda majored in dental hygiene, which allowed her to work and study. Her course also allowed Linda Long to explore what was unfolding around her in San Francisco. This included the new counterculture which began in the early sixties in London, New York and San Francisco, which was a hotbed of early countercultural activity. It was also home to Linda. Suddenly, she was exposed to a many different sub-cultures and the modern incarnation of Bohemianism. It was the same with art and music, and for Linda, this was creatively stimulating. So much so, that it would change the course of her life. Having graduated from University of Southern California, Linda began working as a periodontist. During this period, Linda immersed herself in the various philosophies that were popular at the time. Essentially, she taught her to mediate and rid herself of any negative energy. This helped not just Linda but many of her patients. It may also have helped Linda develop as songwriter. Indeed, Linda hadn’t written songs for a while. Throughout her University days, Linda hadn’t been involved in making music. However, she loved music. Topanga Canyon was full of artists and musicians and it was the perfect place for an aspiring singer-songwriter. With an environment that inspired her, and the sense of hope that was prevalent during the second half of the sixties, this marked the cultural blossoming of Linda Perhacs. What also inspired Linda was the time she spent travelling across part of America. She spent time travelling up the Big Sur coastline, right through Mendocino, the Pacific north-west and to Alaska. This was Linda Perhacs very own road trip. So was a trip to Chimacum, on the Olympic Peninsula. These journeys were what inspired Linda to write songs. Linda stresses that it was these journeys that inspired her, and that drugs played no part in stimulating her creativity. Her songs come from her experiences in life. This includes the colours, patterns and shapes that she’s seen since she was a child. Again, they’re not the result of recreational drugs. Instead, they’re a phenomenon that many people experience. These colours, patters and shapes inspired Linda, who soon, would be one step nearer releasing her first album. Linda was, by now, working in the office of a Beverley Hills’ periodontist. That was where Linda met film soundtrack composer Leonard Rosenman and his wife Kay. When they came into the office, Linda would ask them about their forthcoming projects. Then one day Leonard said to Linda “I can’t believe that clinical work is all you do?” That was when Linda told them about her music and played a tape of one of her songs. These were songs she’d recorded during her travels. Leonard took the songs home to listen to them, and the next day, Linda was offered a record contract. Leonard who’d been a composer all his life, had never been able to achieve this. Linda had. He explained that Parallelograms was different from the other tracks. Each of the component parts were interactive to the composer as three-dimensional sound. It’s akin to sculpting with ice, where the result is essentially a type of light and dance. For Linda, this was the way she’d always written. However, now Linda was going to take this one step further and record the album that would become Parallelograms. For Linda Perhacs’ debut album, ten of the tracks she had written were chosen. They were joined by Hey, Who Really Cares? which Linda cowrote with Oliver Nelson. These eleven tracks became Parallelograms which was produced by Leonard Rosenman, who brought in an all-star cast of musicians. When recording of Parallelograms began, Leonard Rosenman and Linda were aiming to sculpt a series of soundscapes full of textures, colours and shapes. The music Linda hoped, would be “softer and ethereal.” Accompanying her were some legendary musicians. This included percussionists Shelley Mann and Milt Jackson. They were joined by Reinie Press on electric bass and Fender guitar and Steve Cohn on lead and 12-string guitar. John Neufield played flute and saxophone, while Leonard Rosenman added electronic effects and Tommy harmonica. Brian Ingoldsby was tasked with using an electrified shower hose for horn effects. As Parallelograms took shape, it was already apparent that it was no ordinary album. Instead, Parallelograms proved to be a truly groundbreaking album. Before its release in 1970, critics received an advance copy of Parallelograms. 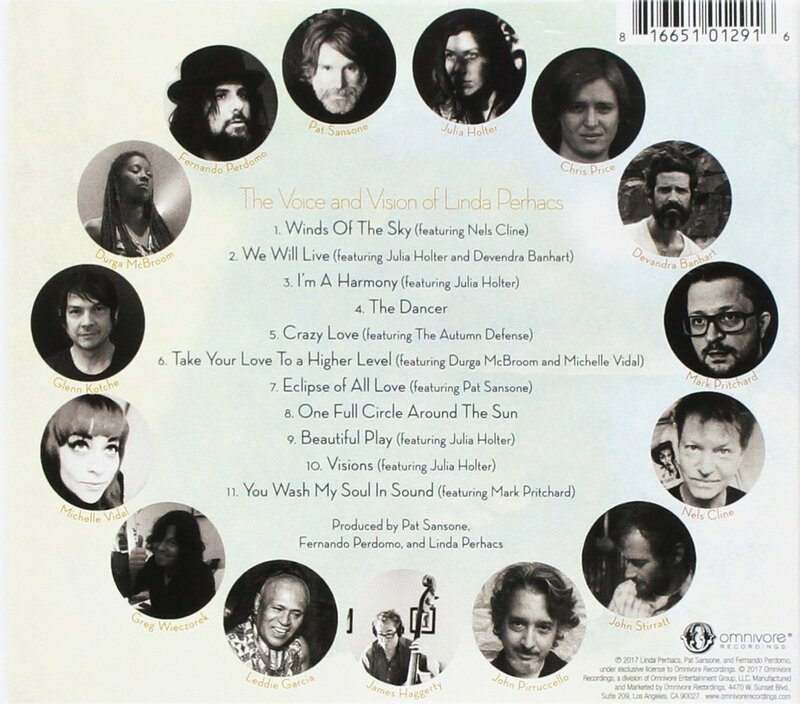 Some of the resultant reviews realised the importance of Linda Perhacs’ debut album. Here was a truly talented singer, songwriter and musician who had discovered her musical soul-mate in producer Leonard Rosenman. He was an ambitious, innovator who wanted to push musical boundaries to their limits on Parallelograms which he described as “visual music composition.” Intrigued, critics investigated Parallelograms. Parallelograms was a flawless fusion of Americana, country, folk, pop, psychedelia and rock. There’s even hints of ambient, drone pop, experimental and jazz. It was potent and heady brew; and one that should’ve launched Linda Perhacs’ career. Sadly, when Parallelograms was released, Linda Perhacs’ psychedelic folk classic wasn’t the huge commercial success it should’ve been. This wasn’t helped by the record company’s failure to promote Parallelograms. As a result, Linda, like so many other hugely talented artists, failed to enjoy the commercial success and critical acclaim her undoubted talent deserved. So Linda returned to her job as a periodontist. Meanwhile, music industry insiders and the those that had bought Parallelograms awaited Linda Perhacs’ sophomore album. A year passed, and there was no sign of the followup to Parallelograms. Linda was still working as a dental nurse, and had settled back into her life pre-Parallelograms. Two and three years passed, and still, there was no sign of another album from Linda Perhacs. Three years became five, and five became ten. By then, fans of Linda Perhacs had all but given up hope that she would release another album. 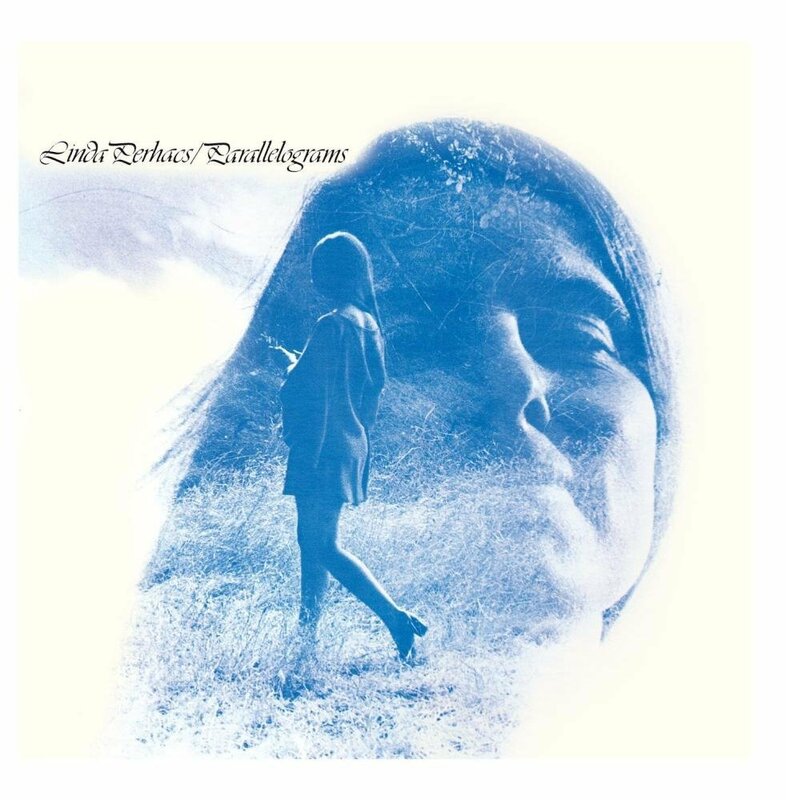 Nothing was heard of Parallelograms and Linda Perhacs until the nineties. By then, Parallelograms had become a cult classic when a new generation of record buyers had discovered the album. Interest in Parallelograms grew with each year. Somewhat belatedly, record buyers realised that Parallelograms was a seminal, lost classic and Linda Perhacs should’ve enjoyed a long and successful career. It was only later that Linda Perhacs realised what might have been. It was only later in life that Linda Perhacs admitted that much as she loved music, she didn’t seem to have the drive required to make a career as a musician. She did, however, have the talent. Linda was blessed with an abundance of talent. That had been apparent on Parallelograms, and eventually, on Linda Perhacs’ long-awaited comeback album. Having spent her career working as a dental hygienist, Linda decided to make her musical comeback. She’d spent a lifetime observing people and the world. This meant she had gathered a wealth of material for her not just her sophomore album, but a series of albums. However, first things first, Linda had to get round to releasing the followup to Parallelograms. This became The Soul Of All Natural Things. 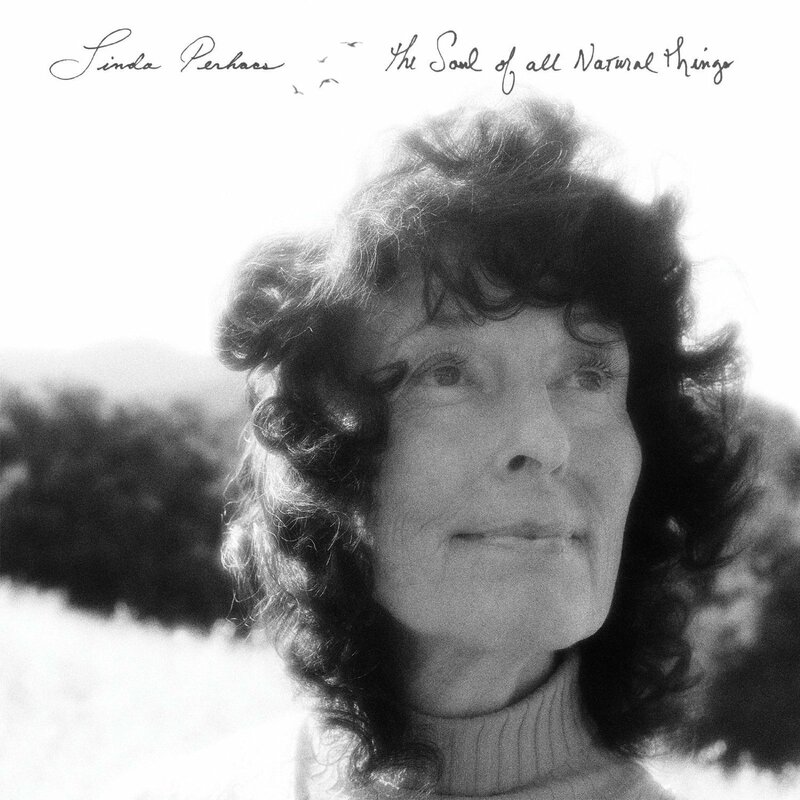 For Linda Perhacs long-awaited comeback album The Soul Of All Natural Things, she wrote four tracks, The Soul Of All Natural Things, Intensity, Prisms of Glass and Song of the Planets, and cowrote the rest of the album with various songwriting partners. Linda and Chris Price wrote Children, and cowrote River Of God, Freely, Immunity and Song of the Planets with Fernando Perdomo. He and Linda also collaborated on Daybreak. These ten tracks became The Soul Of All Natural Things, which was recorded between September 2012 and April 2013. Recording of The Soul Of All Natural Things took place at Reseda Ranch Studios, Reseda in California. Linda’s core band included Chris Price on backing vocals, guitars, bass, keyboards, percussion, programming and effects. Fernando Perdomo contributed bass, guitars, keyboards and percussion. Julia Holter and Ramona Gonzales added vocals and keyboards. Co-producing The Soul Of All Natural Things were Chris Price, Fernando Perdomo and Linda. Once The Soul Of All Natural Things was completed, Linda’s long-awaited sophomore album was scheduled for release in March 2014. After a forty-four year absence, Linda Perhacs was back. By then, a new generation of critics were already familiar with the story of Linda Perhacs‘ debut album, Parallelograms. These critics penned critically acclaimed reviews, and hailed Linda Perhacs the comeback Queen. Although forty-four years have passed since Linda Perhacs released her debut album Parallelograms, she picked up where she left off on The Soul of All Natural Things. Accompanied by some of the best young musicians Los Angeles has to offer, they played their part in a flawless fusion of classic rock, folk, pop and psychedelia. There’s even diversions via ambient, experimental, jazz and drone pop during what’s another captivating and innovative album. Just like on Parallelograms, Linda Perhacs proves to be a versatile vocalist. Her vocal veers between tender and breathy to elegiac, ethereal and emotive. Sometimes, there’s a fragility and sense of confusion, frustration and melancholia in Linda’s voice. Other times, her vocal becomes impassioned, hopeful and hurt-filled. The on Immunity, Linda’s vocal is louder, stronger and full of sincerity. Just like on other tracks this allows her to breathe meaning into the lyrics. Meanwhile, Linda’s accompanied by a choir of lysergic angels who add cascading harmonies, while crystalline guitars and lush strings join with the rest of Linda’s band. They play their part in the sound and success of The Soul Of All Natural Things. The music on The Soul Of All Natural Things veers from bewitching to beautiful, to cinematic and cerebral. Other times, the music is powerful and spacious, but has an intensity. However, for much of The Soul Of All Natural Things the music is dreamy, ethereal and lysergic. That was the case with Linda Perhacs’ debut album, Parallelograms. Both feature a truly talented vocalist. So does Linda Perhacs’ eagerly awaited third album I’m A Harmony. Three-and-half years after the release of long-awaited and comeback album The Soul Of All Natural Things, Linda Perhacs was on the comeback trail again when she recently released album I’m A Harmony. By then, her legion of fans were wondering if and when Linda was going to return with a new album? What many of her fans didn’t realise, was that seventy-four year old Linda was still working as a dental hygienist and in her spare time, writing and recording I’m A Harmony. This was the reality of life as a musician in 2017. When Linda began work on I’m A Harmony, she was joined by some familiar faces and also, a number of new names. Among the familiar faces were a number of well known songwriters, vocalists and producers including Fernando Perdomo, Julia Holter and Chris Price. They were joined by Pat Sansone of Wilco and The Autumn Defense who would co-produce I’m A Harmony with Fernando Perdomo and Linda Perhacs. They were joined by other songwriters, vocalists and producers who were all new names. Among the new names who joined Linda Perhacs when work began on I’m A Harmony were Pat Sansone and John Stirratt of The Autumn Defense and Wilco; Nels Cline and Glenn Kotche of Wilco and Devendra Banhart who adds a soliloquy on We Will Live. They’re joined by John Pirrucello, James Haggerty, Leddie Garcia, Greg Wiezorek and vocalists Michelle Vidal and Durga McBroom. This all-star band would record the eleven songs that became I’m A Harmony. Unlike her two previous albums, where Linda Perhacs wrote most or many of the songs on her own, she cowrote the eleven songs with various songwriting partners. This included Crazy Love with Pat Sansone and Wash My Soul In Sound with Mark Pritchard. Linda Perhacs wrote I’m A Harmony, Take Your Love To A Higher Level and One Full Circle Around The Sun with Fernando Perdomo, and the pair cowrote Winds Of The Sky, We Will Live and Eclipse Of All Love with Chris Price. He and Linda penned The Dancer with Julia Holter who cowrote Beautiful Play and Visions with Linda. These eleven songs would form the basis for I’m A Harmony. Recording took place at Reseda Ranch Studios, Reseda in California and Tiny Door Studios in Nashville, with additional recording taking place at Julia Holter’s studio and The Session Rooms. This was where Linda Perhacs was joined by her band and guest artists as they began recording I’m A Harmony. It was co-produced by Linda Perhacs, Fernando Perdomo and Chris Price. They were augmented by Julia Holter on Beautiful Play, and she was joined on I’m A Harmony by was Chris Price who also does additional production work on Eclipse Of All Love. Mark Pritchard was drafted in and did additional production on You Wash My Soul In Sound. Each of these producers played their part on I’m A Harmony, which was eventually completed and scheduled for release in autumn 2017. When I’m A Harmony was released recently, it received the same critical acclaim the greeted the release of The Soul of All Natural Things in March 2014. I’m A Harmony which received plaudits and praise from critics on both sides of the Atlantic saw the comeback Queen make a welcome comeback. That was no surprise. Opening I’m A Harmony is Winds Of The Sky, which features guitarist Nels Cline. His plucked guitar and washes of synths accompany Linda’s whispery vocal, before the rhythm section, cooing harmonies and percussion enter, as the dreamy arrangement floats along. Soon, reverb has been added to Linda’s tender vocal adding to the atmospheric, lysergic sound. Later, it’s all change as the arrangement builds. The rhythm section power the arrangement along, and are joined by cascading harmonies and acoustic guitar. They’re joined by a searing guitar which cuts through the arrangement. It’s part of the backdrop for Linda’s elegiac vocal as the Queen of psychedelic folk picks up where she left off on The Soul of All Natural Things. A plucked guitar sets the scene for elegiac harmonies on We Will Live that set the scene for Linda’s hopeful vocal on this beautiful ballad. It meanders along, with Julia Holter adding cooing and cascading harmonies. They join the acoustic guitar and provide the perfect accompaniment for Linda’s heartfelt, hopeful, Later, Devendra Banhart adds a soliloquy which provides the final piece of this beautiful, melodic and memorable musical jigsaw. Julia Holter joins Linda on I’m A Harmony and adds keyboards, backing vocal. She also shares the lead vocal with Linda, and they create a dream, choral vocal. Adding a contrast is the dark ominous sound of the keyboards, galloping drums and later, almost eerie harmonies. Meanwhile, a jazz-tinged saxophone is sprayed across the arrangement as the arrangement becomes busy, urgent and almost chaotic as it veers in direction of free jazz. Later, it becomes understated as the ethereal vocals take centre-stage. Still, there’s one more surprise as Linda adds an emotive and tender vocal to this eight minute opus. From the opening bars of The Dancer, Linda delivers a slow, tender vocal on this cinematic song. Soon, Linda is painting pictures against an understated arrangement that features an acoustic guitar, percussion and washes of synths. The band take care not to overpower Linda’s vocal as she tells the story of mysterious and enigmatic character The Dancer. It’s one of the highlights of I’m A Harmony, and features one of Linda’s best vocals. As Crazy Love unfolds, an acoustic guitar sets the scene for Linda’s breathy vocal. Soon, a weeping slide pedal steel has joined the shuffling, understated arrangement. They provide the perfect accompaniment for Linda, with the less is more approach proving successful. Midway through the song, the arrangement builds and Linda’s vocal soars above the arrangement as she breathes life and meaning into the lyrics. When her vocal drops out, it’s briefly replaced by an acoustic guitar. Then when she returns her vocal veers between understated and occasionally powerful and deliberate. By then, the rhythm section, acoustic guitar and weeping pedal steel have joined Linda, as the song heads towards its crescendo. As it does, Linda combines emotion and enthusiasm on this hook-laden track. It’s another of the finest moments on I’m A Harmony. Drums and keyboards combine with Linda’s ethereal scatted vocal on Take Your Love To A Higher Level. Soon, it becomes a soliloquy, before she’s joined by an acoustic guitar and delivers an emotive, impassioned vocal. Soon, the rest of the band enter and the arrangement builds. By then, it’s obvious that something special is unfolding. Soon, the arrangement becomes understated with drums, keyboards and guitar accompanying as Linda almost pleas “Take Your Love To A Higher Level” in this beautiful emotional roller coaster. Multi-instrumentalist Pat Sansone joins Linda on Eclipse Of All Love. Not only does he play drums, keyboards, guitar, percussion, adds backing vocals and shares the lead vocal. Before that, he plays the keyboards and becomes a one man rhythm section. This provides the accompaniment for the two cascading vocals that sit well together. Later, a chirping and crystalline guitar takes centre-stage, before Linda and Pat and deliver a slow, deliberate and rueful hurt-filled vocal. With just an acoustic guitar for company as One Full Circle Around The Sun unfolds, Linda delivers a vocal that veers between tender and emotive. Later, Linda’s vocal is full of hope as she sings: “life can be a prayer of love, a prayer you leave behind, to give the hope that we need, to help the world to survive.” As this beautiful, thought-provoking ballad draws to a close there’s joy in Linda’s voice as she sings: “with One Full Circle Around The Sun, how amazing you’ve become.” This is a reminder if any was needed Linda Perhacs’ talents as a singer and songwriter. There’s a dreamy sound Beautiful Play as Julia Holter adds harmonies and an acoustic guitar accompanies Linda’s tender, elegiac vocal. Meanwhile, the arrangement literally floats along,as keyboards and guitars combine with harmonies. They frame what’s another vocal masterclass from the Queen of psychedelic folk, Linda Perhacs. Visions is another longer track, and lasts seven minutes. Straight away, there’s a lysergic sound as breathy, cooing and elegiac vocal floats above a spartan arrangement. It gives way to a picked guitar and drums played with hand. They’re joined by shimmering keyboards and Linda’s vocal. Reverb has been added, and sometimes, the vocal becomes dubby. Soon, cooing harmonies join the glistening keyboards as the arrangement meanders along and gradually reveals its secrets and surprises. This ranges from percussion, a weeping guitar, a dubby vocal, drums and chirping acoustic guitar. They’re all part of a carefully crafted psychedelic folk epic. A lone acoustic guitar opens You Wash My Soul In Sound closes I’m A Harmony. It sets the scene for Linda’s vocal during this filmic song. So do the harmonies that join the acoustic guitars and provide the understated backdrop for Linda’s tender, heartfelt vocal. The spartan but beautiful and effect arrangement allows Linda’s vocal to take centre-stage, where it belongs. It’s one of Linda’s finest moments on I’m A Harmony, and ensures the album ends on a high. Three years after the release of her long-awaited and much-anticipated sophomore album The Soul of All Natural Things in March 2014, Linda Perhacs picked up where she left off on I’m A Harmony. It finds the Queen of psychedelic folk joined by a band that features some talented musicians, they play their part in what can only be described as flawless genre-melting album where Linda Perhacs and her band combine elements of folk, pop and psychedelia. 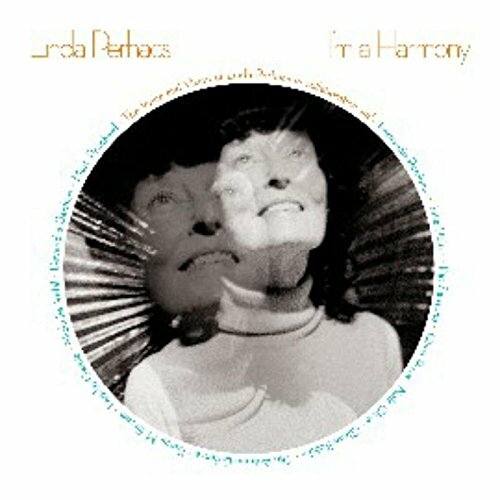 There’s also elements of ambient, avant-garde, experimental, free jazz and jazz on I’m A Harmony which Linda Perhacs co-produced with Chris Price and Fernando Perdomo. Together, they’re responsible for I’m A Harmony, a carefully crafted album which was recently released by Omnivore Recordings. I’m A Harmony is only the third album that Linda Perhacs has released since she released her debut album Parallelogram in 1970. Sadly, Linda Perhacs has never reached the heights her talent deserved. Maybe, after the commercial failure of Parallelograms, Linda lost her appetite for music? Who knows? She certainly admits to not being the most driven musician. That is a great pity, as she has so much potential. She could’ve and should’ve enjoyed a long and successful career. Especially, with the Laurel Canyon scene so popular so popular when Linda released Parallelograms. Sadly, for whatever reason, Linda didn’t enjoy the critical acclaim and commercial success her talent deserved. Maybe, somewhat belatedly, Linda Perhacs’ is enjoying an Indian Summer? That comes as no surprise, given the quality of music Linda Perhacs continues to release five decades after she released her debut album Parallelogram. Her latest opus I’m A Harmony veers between ambient and atmospheric to bewitching to beautiful, to cinematic and cerebral, right through to elegiac and ethereal. Other times, the music on I’m A Harmony is melodic and memorable and other times, poignant and powerful. I’m A Harmony marks the return of the Queen of psychedelic folk with a genre classic in-waiting I’m A Harmony, which is a fitting follow to Linda Perhacs’ two previous flawless cult classics, Parallelogram and The Soul Of All Natural Things. ← SUSANNE SUNDFOR-MUSIC FOR PEOPLE IN TROUBLE.